The stencil seemed easy enough, I mean who cant tape up a stencil and color in a few dots? WRONG. 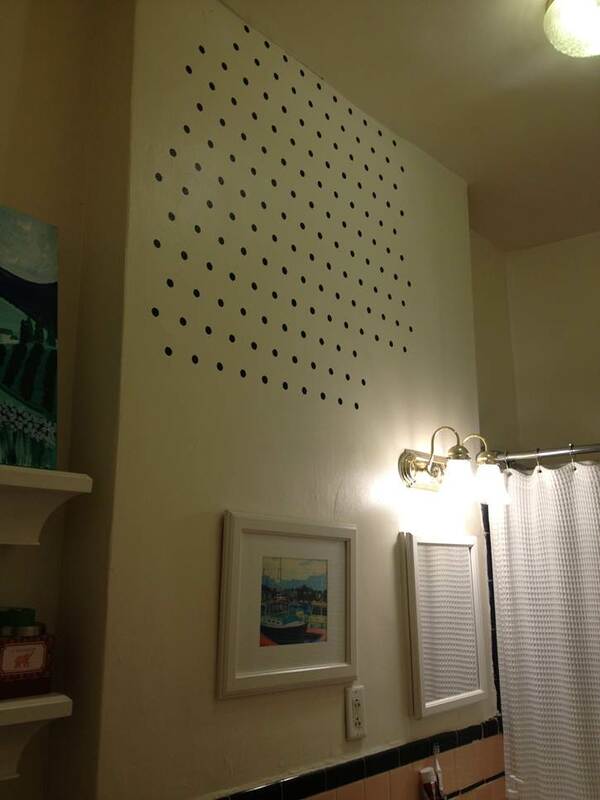 I thought I had a tiny apartment bathroom, UNTIL I look at it in measurements of 1" dots and 12' ceilings. Holy time consuming to say the least. Needless to say my weekend will be filled with stenciling and more stencling. Good thing the weather man says its going to rain all weekend, I wont feel as bad staying indoors. anyone know the original source to this one?? Wish me luck this weekend, I'm going to need it! It's going to be awesome and you are going to have rock hard upper arms. win-win. Let me know when I can bring wine over and we can sit in the floor and stare at how cute it turned out! Good luck, it's going to be DARLING!!! I love the look. Hope it goes quickly. Can't wait to see it! 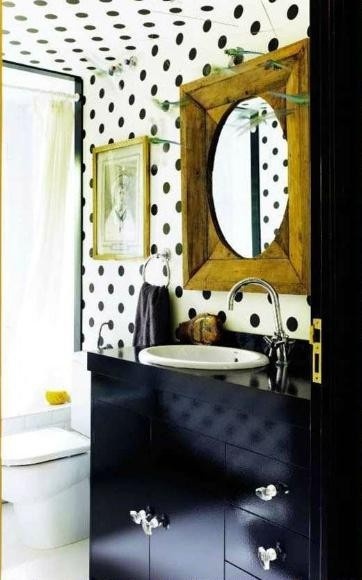 Your hard work will definitely pay off and you'll be left with a lovely, whimsical bathroom. Hope the rest of the project is quicker than you think! 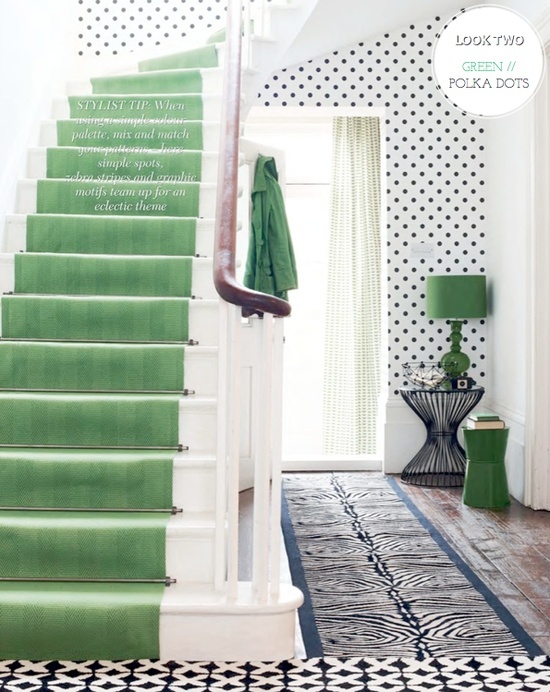 Loved this.I am so overwhelmed by these polka dots. I think it's worth the effort, I'm planning on getting the gold decal dots from land of nod for my kitchen - yes, kitchen. that is, if I can't get a hold of the wall paper I really want for the space! Love it so far, good luck! I must have missed the post that said how you were going about this. Is it a stencil pattern? I think this might make me cross eyed! Can't wait to see your results! This is beyond adorable! I LOVE it! Your bath is going to look amazing, Can't wait to see it. i'm rooting you on! I did something similar with decals from Urbanwalls in my baby's nursery. Love it! You can view the post on my blog.